Ilkeston (Park) Cemetery includes 49 casualties of the First World War and 22 of the Second World War who are buried or commemorated here. In the cemetery is one grave of a soldier of the Yorkshire Regiment. We are extremely grateful to Richard Roberts (<richard.nsw@googlemail.com>) who has forwarded the photograph of Private William Wilson's grave in this cemetery. 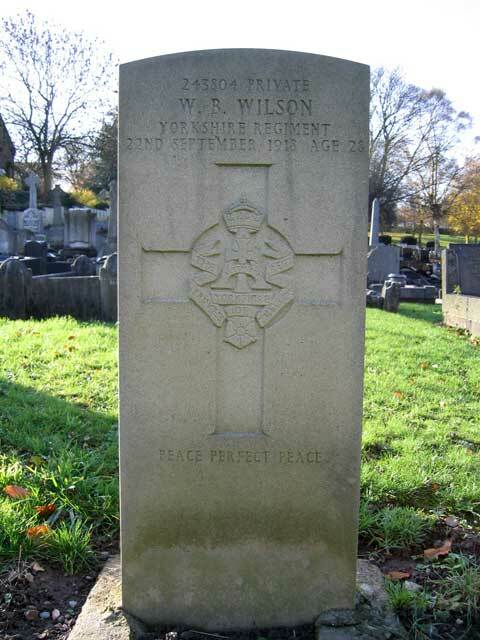 Details of Private Wilson, and a photograph of the Ilkeston (Park) Cemetery are below this photo. Private William Broughton Wilson. 243804. 5th Battalion the Yorkshire Regiment. Husband of Lois Wilson, of 19, Flamstead Rd., Ilkeston. Grave 8766 Ilkeston (Park) Cemetery . Born Cotmanhay (Derbyshire), Enlisted Ilkeston. 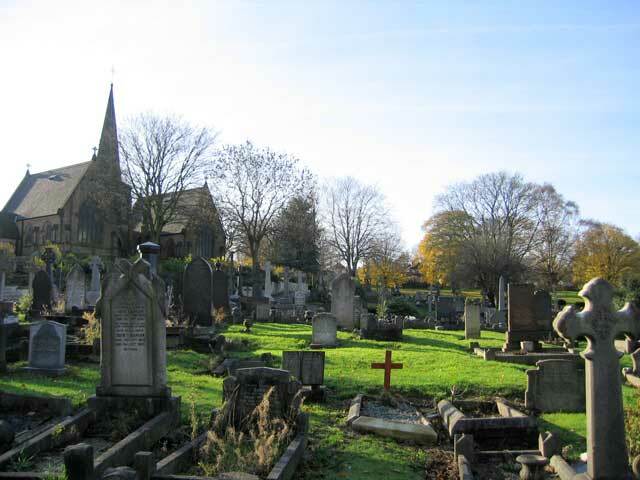 Ilkeston (Park) Cemetery, - Private Wilson's grave is is seen on the right in the mid-distance.